You are welcomed at a private location in the shadow of St. Rumbold’s Cathedral. With an experienced guide you ascend the pride of Mechelen at nightfall to find out all about this unique UNESCO World Heritage Site. See the sun set over Mechelen and its surroundings. 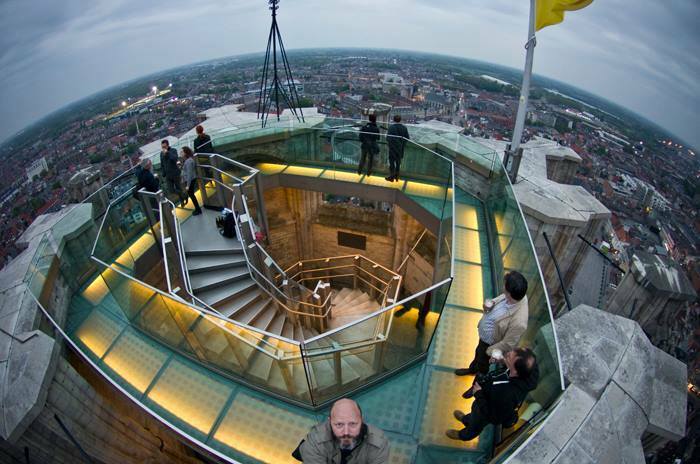 On top of the tower, on the skywalk, you enjoy a Gouden Carolus beer, an appetizer and the beautiful view of the city.